Southern Grind produces high quality, USA made knives, using only the finest handle and blade materials. The company was founded by country singer and knife enthusiast Zac Brown who directly oversees the design and production of each product. His metal shop in Peachtree City, Georgia offers knives and metal works that are highly functional and ruggedly dependable. The Jackal is an EDC fixed blade featuring a sleek, full tang design. 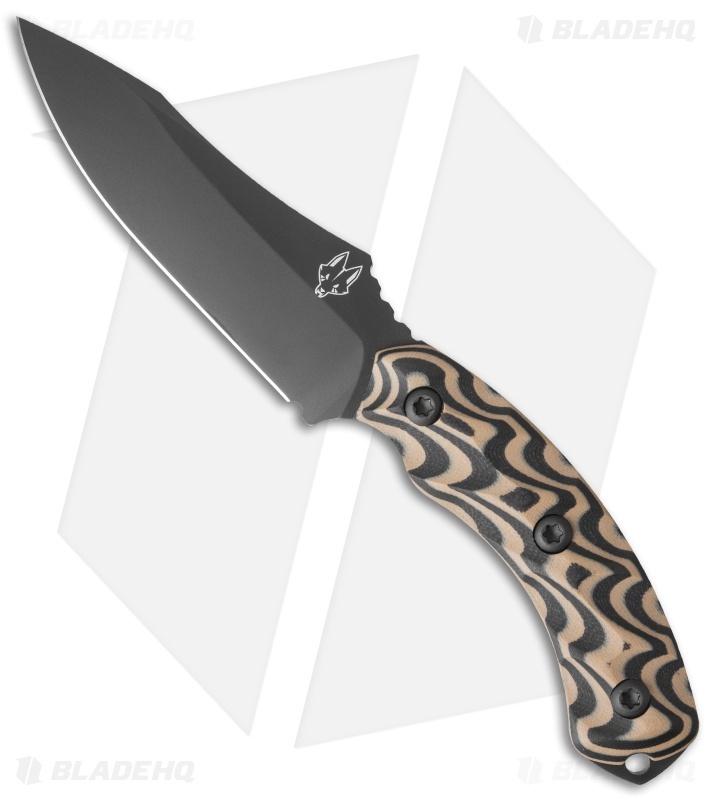 This model is equipped with black and tan G-10 handle scales that have been 3D milled for a fitted, ergonomic grip. The drop point blade is made from 8670M high carbon steel and has a black PVD coating. A black kydex sheath is included with the knife that can be adjusted for vertical or horizontal belt carry. The Jackal fixed blade offers an EDC design that is comfortable to use and to carry. 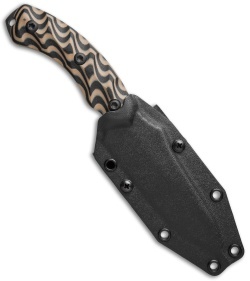 Got this at Bass Pro Shop in Memphis, Tennessee and it is one of the best edc. Lightweight, good steel, tough, and American made. The handle was a little more comfortable when using a reverse grip and seems to come out smoother. The only thing i didn't like about this knife was that it was not that sharp after taking it out of the box, but it can be fixed. Not sure on knife warranty. After opening the box reaching in and grabbing this knife, I knew It was perfect. The handle is perfect and just feels oh so right in the hand. Also has a great sized blade. On top of being an amazing knife southern grind puts part of their proceeds into Sac Brown's summer camp that specializes with kids with disabilities. Support a great American company with a great cause.